The Premier League may be new to Maurizio Sarri, but Bournemouth manager Eddie Howe is very familiar to the former Napoli man. The two managers have "exchanged ideas" in recent years, leading the Italian to speak highly of his counterpart with the Cherries. Chelsea have won all three of their Premier League games so far, but were embarrassed to Bournemouth at home in January. Sarri is not taking the Blues' bright start to the season to heart just yet, saying: "I'm very happy with nine points in three matches, but I think also the table now is not so important. I think we have the potential to improve more. "I know him (Howe) very well. I think he's a very interesting young coach. I think he will make a mark in English football in the future. They are very dangerous opponents for us." Playmaker Cesc Fabregas remains out with a knee injury which limits him to running in the swimming pool at Chelsea's training base. Sarri said: "He's working in water. We hope that next week he will be able to work on the pitch." Howe believes Bournemouth's unbeaten start to the season has provided optimism that the Cherries can emulate last season's win at Chelsea. 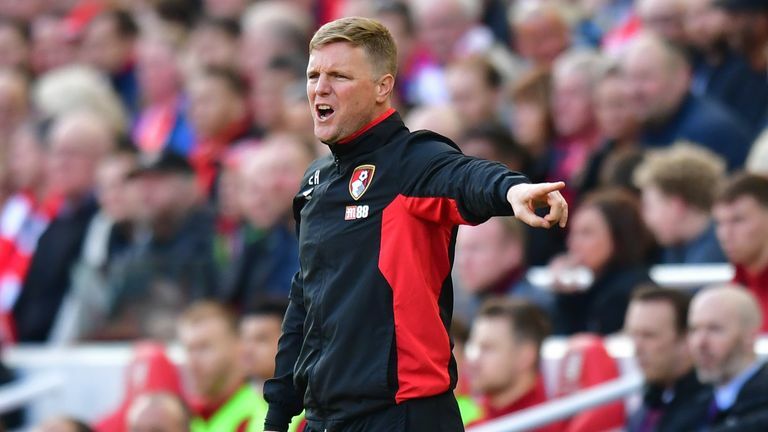 Howe's side triumphed 3-0 at Stamford Bridge on their last Premier League visit and have recorded two wins and a draw from their three games so far. "We know how difficult the game's going to be," Howe said. "But we're very keen to keep the momentum from what has been a really positive beginning. "We've had good games against Chelsea and we've really enjoyed them. They've always been close and that should inspire the players." Eden Hazard and Mateo Kovacic could start at Stamford Bridge for the first time this season. Hazard and Kovacic, who is on loan from Real Madrid, made their first starts of the season at Newcastle last week as Chelsea made it three wins from as many league games. Fabregas remains out with a knee injury and is Chelsea's only injury absentee. Howe will revert to a more familiar line-up at Stamford Bridge. Scotland winger Ryan Fraser was the only player to start both last Saturday's draw with Everton and Tuesday's Carabao Cup victory over MK Dons as Howe made 10 changes. 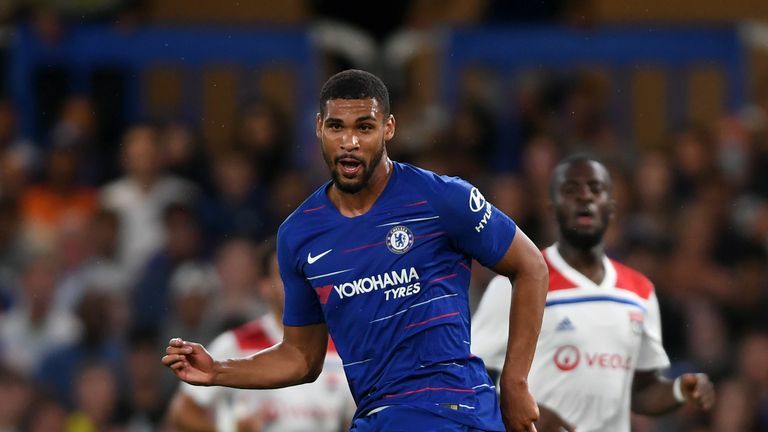 Midfielder Jefferson Lerma and left-back Diego Rico made their debuts in midweek and could feature again, but forward Junior Stanislas (knee) and midfielder Kyle Taylor (muscle problem) remain out and some undisclosed players have knocks from the cup win. Over the last three seasons, no side has beaten Chelsea at Stamford Bridge more often in the Premier League than Bournemouth (2, level with Crystal Palace, Liverpool and Man City). Bournemouth have won two of their three Premier League away games against Chelsea - against no side have they won more on the road in the top-flight (also 2 vs Newcastle, West Ham and Bournemouth). 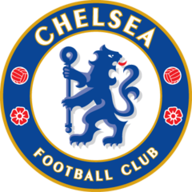 The away team has triumphed in five of the six previous Premier League meetings between Chelsea and Bournemouth, with the exception being a 3-0 win for Chelsea in December 2016. Chelsea are aiming to win their opening four Premier League games of a season for the sixth time, having also done so in 2004-05, 2005-06, 2009-10, 2010-11 and 2014-15, winning the league in all but one of those seasons (2010-11, finished second). 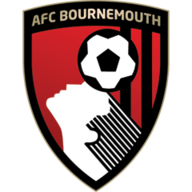 Bournemouth are looking to win three consecutive away Premier League games for the first time - their last run of three away league wins was in their final three away games in the 2014-15 season before their promotion. Of teams to have featured in the Premier League throughout 2018, Chelsea are the only side - excluding own-goals - yet to see an English league scorer this calendar year; opponents Bournemouth have seen 17 goals from Englishmen in 2018, second only to Spurs (21). Since 2015-16, only Liverpool (10) and Spurs (12) have won more Premier League matches from losing positions than Bournemouth (9). Chelsea boss Maurizio Sarri could become the sixth manager to win his first four Premier League matches, with three of the other five doing so as Chelsea manager - Jose Mourinho, Guus Hiddink and Carlo Ancelotti; the others are Pep Guardiola and Craig Shakespeare. 75% of the away Premier League points Bournemouth manager Eddie Howe has won at 'big six' opposition have come at Stamford Bridge (6/8), with his two victories there his only wins in 18 of these matches (P18 W2 D2 L14 Pts 8). Chelsea's Eden Hazard has had a hand in three goals in his first three Premier League games under Maurizio Sarri (1 goal, 2 assists), one more than he managed in his final 10 league matches under Antonio Conte (1 goals, 1 assist). I watched Bournemouth last week [against Everton] and they went behind and came back. But, if they go behind here, Chelsea will pick them off and win by more, that would be my worry. Bournemouth upset them at Stamford Bridge last season with a 3-0 victory, but I think Chelsea will win. Chelsea have been alright, we haven't seen the best of them but if you're being alright and winning all three games, that's decent. Bournemouth have started well, but that's happened before and then you can go on a run of seven or eight games without a win. You have to get your points when you can. They will cause Chelsea problems with Josh King and Callum Wilson, and I like how they are willing to have a go wherever they play.